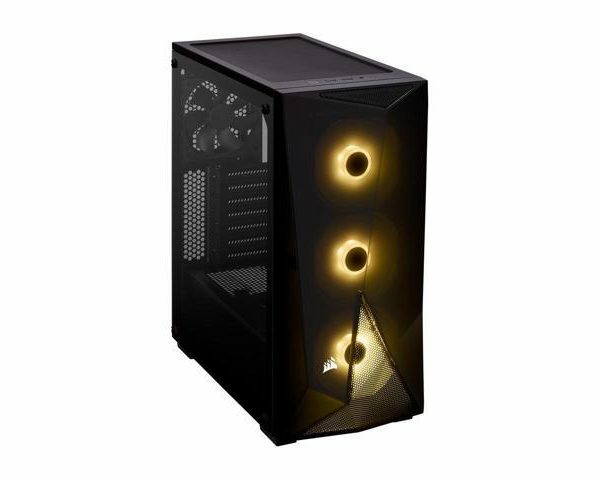 The Carbide Series SPEC-DELTA RGB is a tempered glass mid-tower ATX case with striking angular styling, powerful airflow and vibrant RGB lighting. 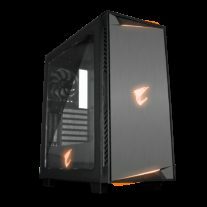 Direct Airflow Path Design, inlaid mesh ventilation and four included cooling fans deliver incredible airflow to cool your system. 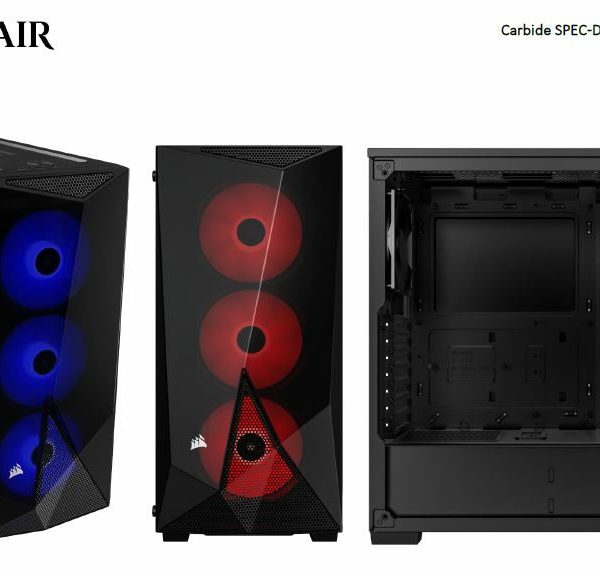 An edge-to-edge tempered glass side panel window and smoked transparent front panel show off your system, while three 120mm RGB cooling fans light up your hardware. 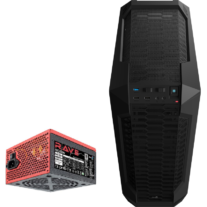 Connect the fans using standard 4-pin lighting connectors to your Asus Aura Sync, Gigabyte RGB Fusion or MSI Mystic Light compatible motherboard and personalize your lighting with amazing effects and patterns. 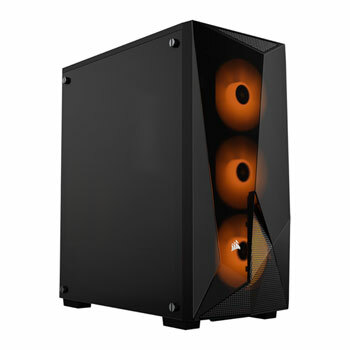 Three Included RGB Fans: Light up your system with three RGB LED fans, each boasting six customizable LEDs. 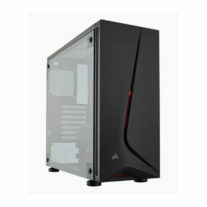 Smoked Transparent Front Panel: The front panel’s dark, angular accents become transparent when backlit, providing a unique window into your system, while inlaid mesh ensures ample airflow. 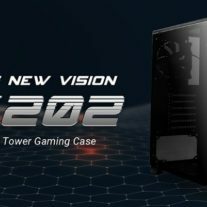 Tempered Glass Side Panel: Frameless tempered glass side panel window shows off your system. 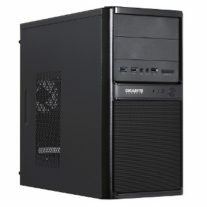 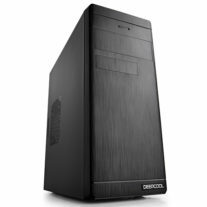 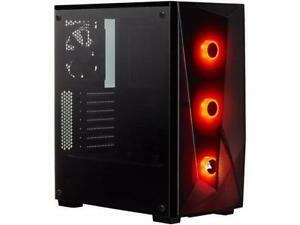 Corsair Carbide Series SPEC-05 Mid-Tower Gaming Case, Black. 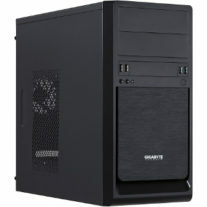 Supports Mini-ITX, mATX, ATX.